I decided to add my own chamfer to the wings. After studying photos of the actual Super Mystere it was ok to proceed. 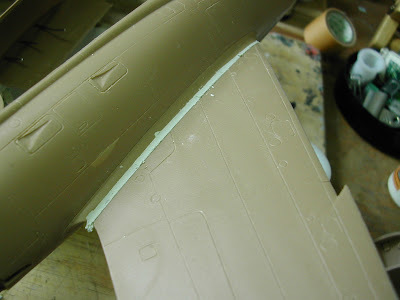 Dry fitting the wings revealed plenty of gaps. 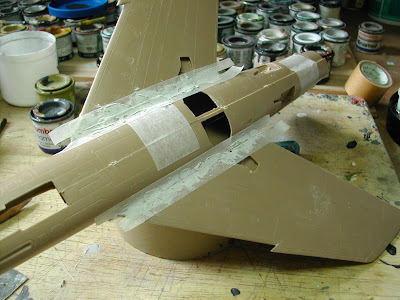 Using regular plastic cement I attached the wings to the fuselage, set the angle and left it for a couple of hours. On my return it was dry enough to be handled. Next, I masked up and filled. 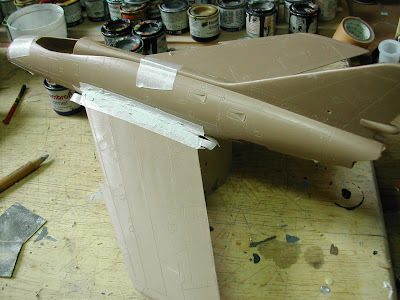 An hour later, I separated the fuselage halves and drilled the wing roots from inside. 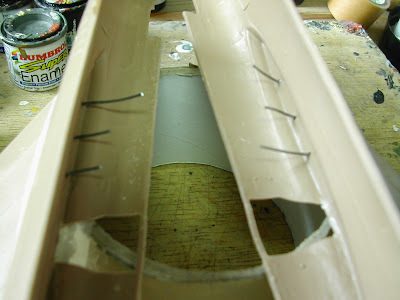 I Cyano'd 20 gauge wire into the holes which, when dry, would securely brace the wings.